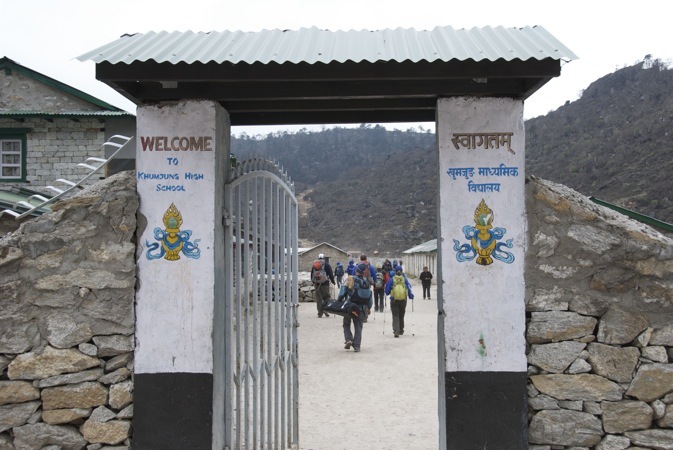 We get an early start on our nine-day trek to Everest Base Camp. 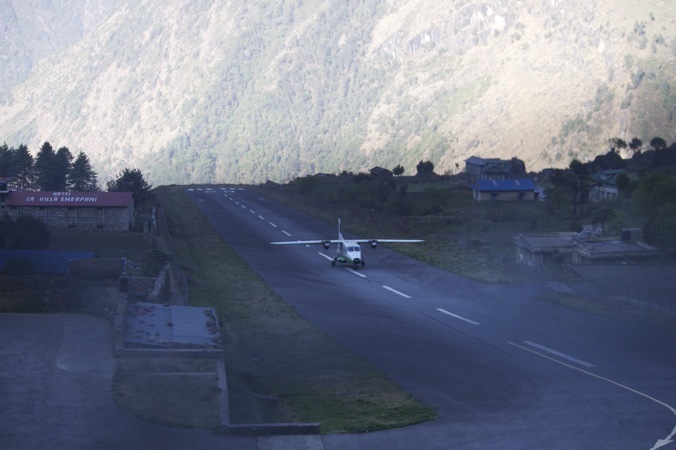 Our plane lands in Lukla, elevation 9,372 feet, on the world’s shortest uphill runway at 7:30 a.m. on Sunday morning. That gives our team of ten (which is accompanied by a dozen cooks, guides, and porters), a lot of sunlight to start our 28-mile, 6,346-foot climb. This stone and dirt path carved into a steep mountain, has been traveled for centuries by the 5,000 Sherpa people who have called the Khumbu Valley home since their ancestors migrated from eastern Tibet 500 ago. We pass school children, trains of yak-cow hybrids called a jopkoyos, and porters carrying everything from sheets of plywood to cases of beer. Their loads look like lead weight, so I ask Tshering Sherpa, our soft-spoken 15-year-old porter if I can try to carry his wicker basket full of food. The kid, who can’t weigh more than 95 pounds, looks at me as if I’m crazy. But he sets the basket down on a stone ledge and I wrap the tumpline around my forehead. I try to stand and don’t succeed, which makes Tshering laugh. His 40 kilo load feels 20 times heavier than mine and he’s carrying it wearing plastic flipflops! The legendary, superhuman strength of the Sherpas is the only reason foreigners can navigate this high-altitude paradise. 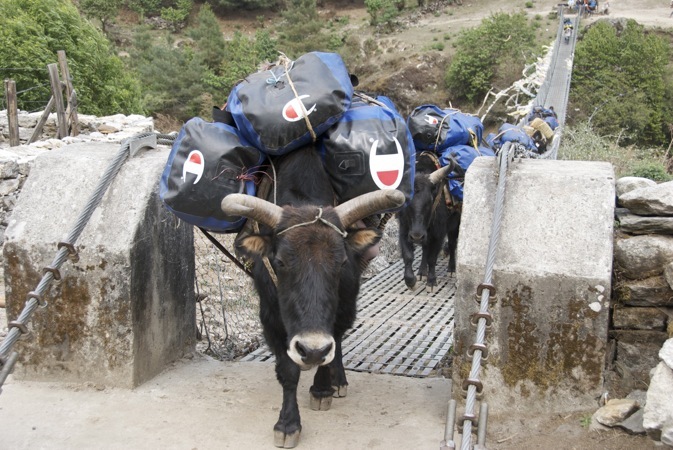 (The only transportation options here are yak, jopkoyo, human porters, or helicopter.) No one appreciated the Sherpas more than Sir Edmund Hillary. Starting in 1961 Hillary built 40 schools and one hospital with satellite clinics in four other villages. 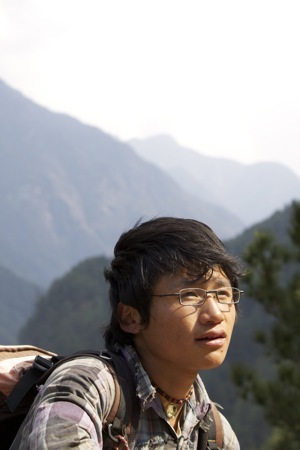 “He is our king, the king of the Solo Khumbu,” says Khari Jang Rai, our 20-year-old trekking Sherpa. 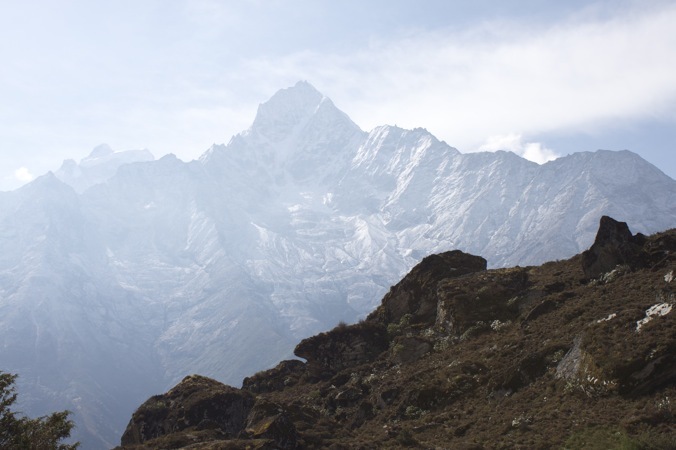 He grew up in the lower Khumbu and went to a school that Hillary built until he was 16. We’ve stopped at a cliffy overlook just outside of Lukla and Khari points out a Hillary school. He explains that the drumbeats wafting over the wheat fields are leading the children in their “physical training,” a concept that makes me chuckle, considering that most of them trek a few thousand feet per day just to get to school. On the second day, after criss-crossing the raging Dudh Kosi River on metal suspension bridges a half-dozen times, followed by a brutal hike up a 1,973-foot switchback, we reach Namche Bazar, the capital of the Khumbu region for both Sherpas and the growing number of annual trekkers who travel through Sagarmatha National Park. (In 2009, nearly 29,000 people trekked here.) The steep village of 500 has wireless Internet cafes, a brand new Mountain Hardwear mountaineering shop, and plenty of places to have a massage. 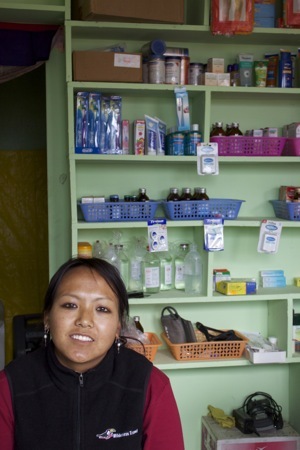 I stop at the Mountain Medicine Center and meet Rhita Doma Sherpa, a 27-year-old nurse who recently started her own business. 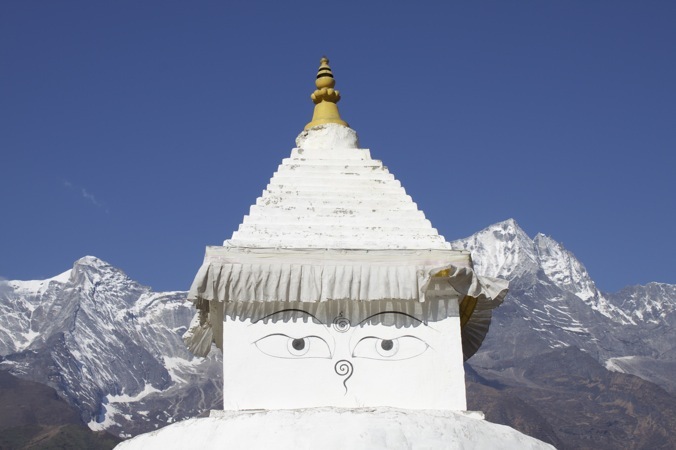 Except for going to nursing school in Kathmandu, Rita has lived in Namche her whole life. On day three of our trek we visit Khunde, the village at the base of sacred Khumbiyula, a massive granite peak that is sacred to the Sherpas and off-limits to mountain climbers. Khunde is also where the Sirdar (boss) of our trekking expedition, Ang Temba Sherpa, was born and where Hillary built the region’s first hospital almost 50 years ago. 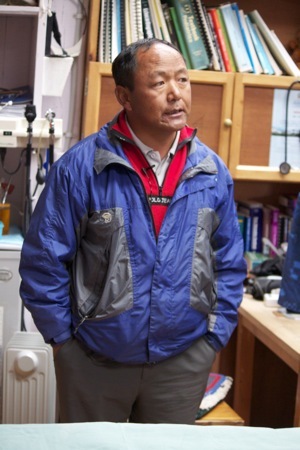 Ang Temba introduces us to Dr. Kami Temba Sherpa. Dr. Kami has worked at the clinic for 25 years and tells us that today the hospital has a pharmacy, facilities for minor surgery, x-ray, ultrasound, an EKG, a delivery room, a lab, and two defibrillators. In the exam room, there’s an old black-and-white photo of Hillary and Tenzing Norgay, the Sherpa who climbed Everest with Hillary. After lunch at Ang Temba’s house, we trek a half-hour to the village of Khumjung, where Hillary built his first school. Ang Temba went to this school until grade ten. He tells us that some days it was so cold that he would run the 20 minutes home to gobble down a hot lunch in ten minutes in order to make it back to school in time for his next class. I ask him what he remembers of Hillary.